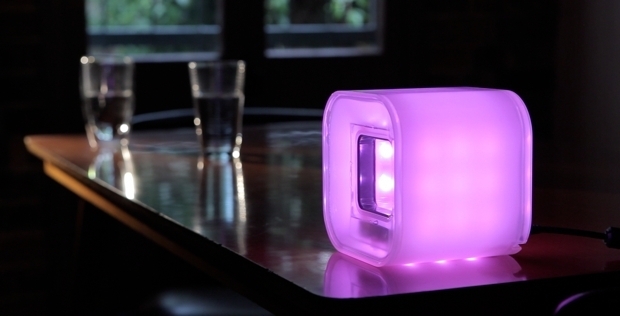 This project is so obviously awesome: a colour-changing light, connected to the web, all open source and ready to plug into whatever trigger you want to throw at it. In geek terms, it’s a lamp connected to a LAMP stack (funny, huh?). And here is where you need to pay attention: we all need to pledge to buy one. My colleague Troy and I have pledged one each already on Kickstarter. Possibly to light up our window at Reactive every time a developer breaks the build server. Or whenever someone opens the beer fridge. So it’s pretty transparent that you need one as well. Heck, everyone needs a lamp connected to the web, right? So go, pledge a donation on their Kickstarter page. This entry was posted in Convergence and tagged internet of things, light, moore. Bookmark the permalink.